Veilles-tu, ma senteur de soleil ? Since childhood, Yumi Nara was steeped in sacred music, traditional Japanese music, and tango. She always had a deep love for French music, and subsequently she received a French Government Grant to study at the Paris Conservatory, where she was greatly encouraged by Olivier Messiaen. She then worked with C. Maurane, N. Perugia, I. Aïtoff, P. Gottlieb, V. Rozsa and M. Bouvet. She achieved international recognition for her performances of some of the great works of the twentieth century, Shéhérazade by Ravel, Harawi by Messiaen, Pelléas et Mélisande by Debussy, Pierrot Lunaire by Schönberg, La Voix Humaine by Poulenc, Trois Contes de I’Honorable Fleur by Ohana, Libération by Eloy and other works by Berio, Scelsi, etc. 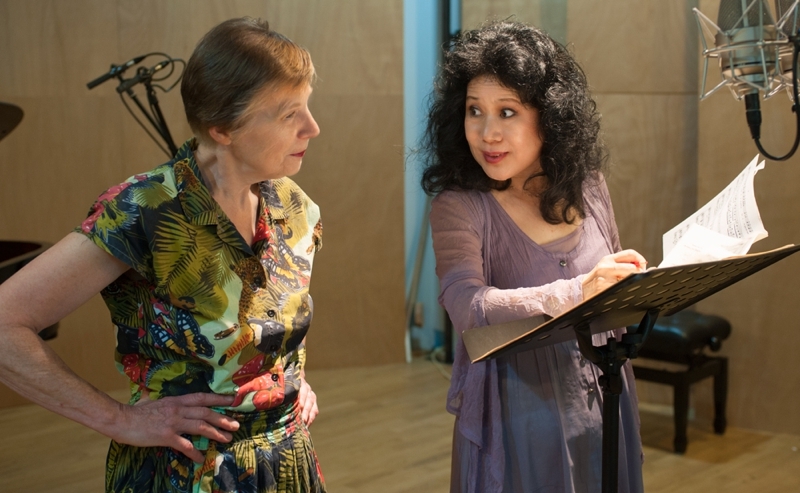 Many composers have written for her, including Yoritsuné Matsudaïra, for whom she became the preferred interpreter. She has sung under the direction of P. Boulez, M. Constant, P. Eötvös, J. Fournet, D. Masson, P. Méfano, J. Mercier, G. Sinopoli among others. Her dramatic qualities have been hailed in productions directed by P. Brook, C. Confortès, H. P. Cloos, M. Rostain, M. Wassermann, and F. Verret among others. 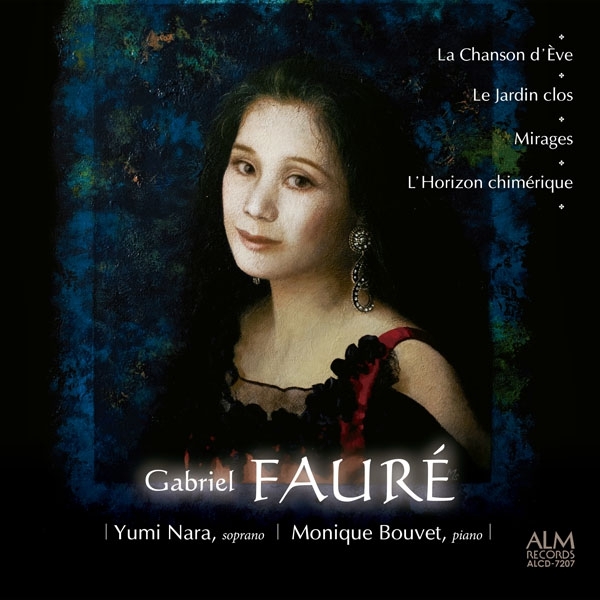 She has recorded the complete songs of Satie, and Messiaen, Pierrot Lunaire and Brettl Lieder of Schönberg, ‘Vocal Works I, II and III’of Matsudaïra, Harawi of Messiaen, the songs of Fauré. Her recording of Debussy songs (piano: C. Lavoix, label Cypres) was awarded the ‘Choc’ of Le Monde de la Musique. Monique Bouvet studied music at the Paris Conservatory where, after obtaining seven First Prizes including those for piano, chamber music and accompaniment, she was appointed Assistant then Professor in 1978. She was vocal coach for singers at the Paris Opera from 1976 to 1998. Parallel to her teaching activities, she toured for the Jeunesses Musicales de France, participated in radio and television broadcasts, and gave many chamber music concerts, notably with Philippe Muller, Régis Pasquier, Christiane Eda Pierre, Yumi Nara and others. She performed in many festivals (Royan, Besançon, Mai de Versailles, Festival du Marais, Musique en Rouergue, Musique en Guyenne, Salzburg, etc.). She has been a member of ensembles such as Ars Nova, 2E2M, Ensemble Intercontemporain and has also worked on stage productions with, among others, Michel Corboz, Nello Santi, Friedemann Layer, Seiji Ozawa, Pierre Boulez. She has also made several discographic recordings, including the vocal quartets with piano of Robert Schumann, the sonatas of Bohuslav Martinů for piano and cello with Alain Courmont, the sonatas for cello and piano of Guy Ropartz with Philippe Muller, and pieces from the romantic era for harp and pianoforte with Catherine Michel. She is particularly devoted to the rehabilitation of little known French repertory of the late nineteenth and early twentieth centuries.